This recipe was developed by Marissa Nicosia for the Folger Shakespeare Library exhibition, First Chefs: Fame and Foodways from Britain to the Americas (on view Jan 19–Mar 31, 2019), produced in association with Before ‘Farm to Table’: Early Modern Foodways and Cultures, a Mellon initiative in collaborative research at the Folger Institute. 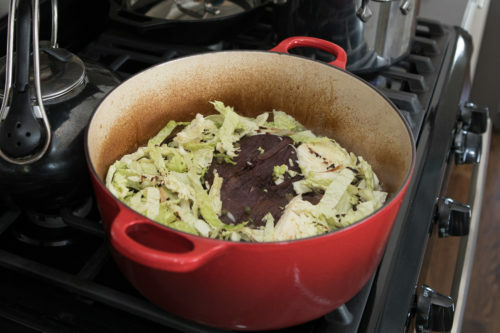 You can learn more about the series of recipes that Marissa updated on her site Cooking in the Archives and read a version of this post on the Folger’s Shakespeare and Beyond blog. Marissa gives special thanks to Amanda Herbert and Heather Wolfe for their help. And if you are near D.C., you should check out the First Chefs exhibition (co-curated by RP editor, Amanda Herbert) before it closes on March 31! Credit: Teresa Wood. All rights reserved. First opening of May’s book. Credit: Folger Shakespeare Library, LUNA. 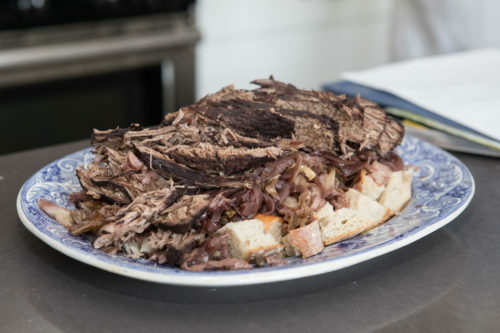 My brisket recipe updates May’s recipe “To stew a Rump, or the fat end of a Brisket of Beef in the French Fashion” for use in a twenty-first-century kitchen. 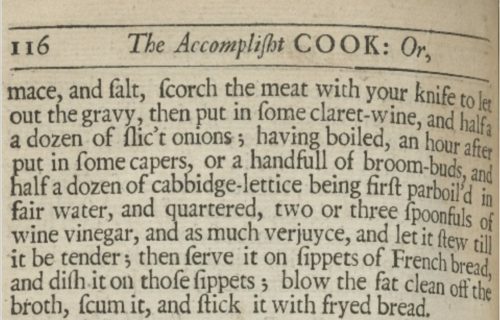 The following text is from the 1685 edition, but the recipe is also in the first edition from 1660 (I3v-I4r). Appelbaum, Robert. 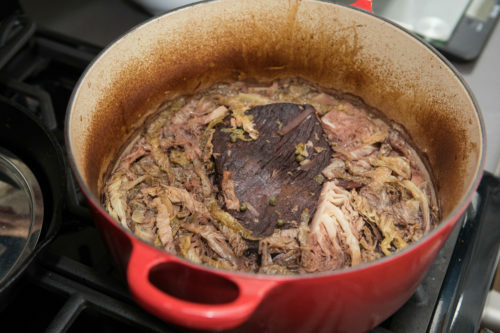 Aguecheek’s Beef, Belch’s Hiccup and Other Gastronomic Interjections: Literature, Culture and Food among the Early Moderns. Chicago: University of Chicago Press, 2006. Wall, Wendy. 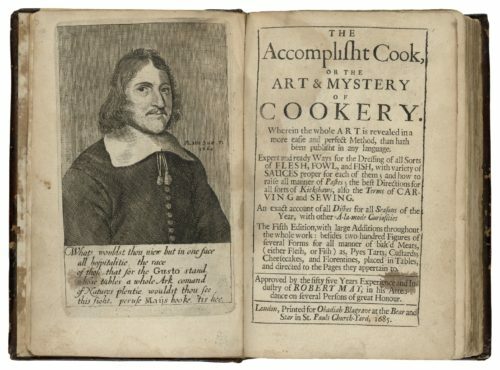 Recipes for Thought: Knowledge and Taste in the Early Modern English Kitchen. Philadelphia: University of Pennsylvania Press, 2015, especially pages 35-38. This pedagogical exercise took place at Wesleyan University in Fall 2016, in John’s course entitled “Pirates, Puritans, and Pequots: Literatures of the Early English Atlantic,” which brought together the literary archives of the English Renaissance and the first century of English expansion westward into the Atlantic. The course’s final two sections dwelt extensively on Anglo-indigenous and Anglo-African contact, real and imagined, in the early Atlantic. In these units, students engaged with a recent wave of scholarship that has attempted to expand our sense of the colonial archive. Scholars like Walter Mignolo, Elizabeth Hill Boone, and Birgit Rasmussen have shown the limitations of approaches to the question of early modern indigenous history that focus solely on texts produced by Europeans; Saidiya Hartman, in the slightly different context of transatlantic slavery, has made a related point about the archive. One way around this problem—that of the European near-monopoly on textual production and the ties between textual production and the often violent action of colonial development—is to turn to the techniques of material history, thinking through how the circulation of objects and technologies worked in the newly global economies of the seventeenth-century. Attending to these stories helps expand our ideas about agency and cultural contact. This is perhaps clearest in the history of food and, particularly, the wide-ranging influence that indigenous technologies and tastes relating to tobacco and chocolate had in the period, as Marcy Norton’s work has demonstrated. Turning to the history of food, then, has the potential to show students a more nuanced story about cultural contact that uncovers the agency and influence that indigenous cultures exerted back across the Atlantic. We had the idea of bringing these scholarly insights about Anglo-indigenous contact to the classroom by tracing food history through English recipe books: unruly documents rich with medicinal, culinary, and other household materials such as accounts and records of births and deaths. On the one hand, these books provide rich material about places, people, ingredients, and practices unlike other archives. On the other hand, they are difficult to read, classify, and often mute on the conditions of their making and aspirations of their makers. Among the many things recipe books can show us about food history, these manuscripts bear the record of indigenous influence in Europe. Rebeckah Winche’s hot chocolate is a case study in rendering a familiar food strange. Our recipe workshop had two distinct parts: transcription and cooking. Transcribing a few recipes, including Winche’s receipt for “Chacolet,” introduced students to using recipe books as sources and to reading secretary and italic handwriting. The recipe starts with roasted and ground cocoa beans. It is heavily spiced with vanilla, cinnamon, and chili pepper and sweetened with sugar. The instructions advise you to form your chacolet mix into cakes and let them cure for three months before using. This is a delectable and portable preparation in its original form. We didn’t wait three months. 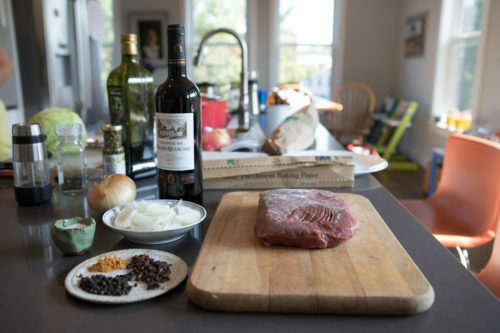 Following the practices Marissa developed in the Cooking in the Archives project, we asked students to identify the key ingredients and practices in Winche’s recipe. Then we distributed three different updated versions of the original recipe. One group started with roasted cocao beans and ground them by hand in a molcajete. Another used cocoa powder. We taste-tested the different mixes, all possible modernizations of Winche’s original recipe. Students had prepared for the workshop by reading Marcy Norton’s “Tasting Empire: Chocolate and the European Internalization of Mesoamerican Aesthetics,” and this was the starting point for our discussion. As we moved through the ingredients and Marissa spoke about them in turn, students were also struck—as we had hoped they would be—by the vast global trade networks embodied in a single recipe. 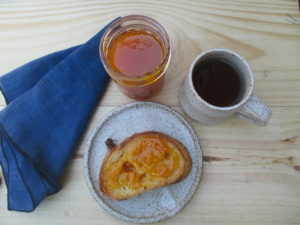 They were also, once the final product was assembled, interested in the strangeness of the hot chocolate—both the graininess of the hand-ground nibs and the unfamiliar spiciness added by the chili pepper—helping them to see the way that indigenous chocolate-making tastes were influencing even English recipe keepers like Winche living in London and Buckinghamshire. 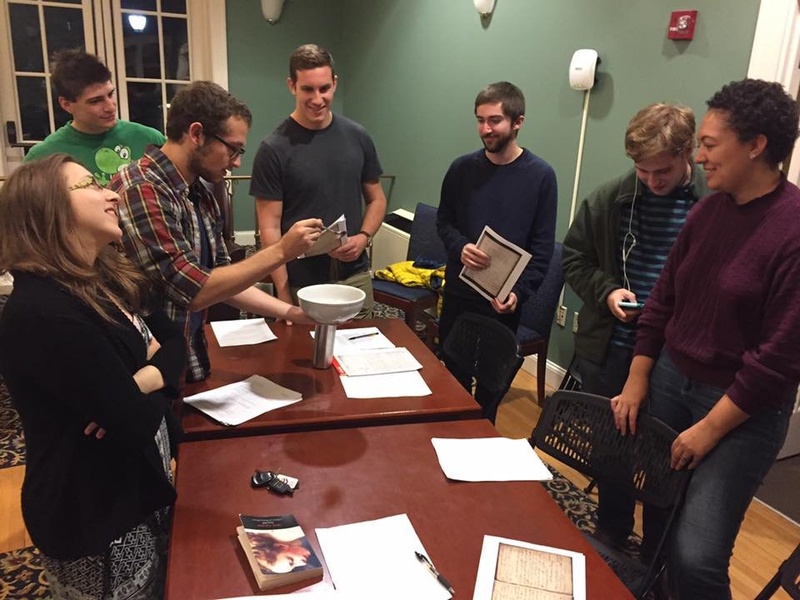 This exercise, paired with a later digital material history project that examined the many objects found in Mary Rowlandson’s captivity narrative, produced in the contested Anglo-Algonquian Massachusetts borderlands around the same time, helped students to see the way that material history can reveal new stories about cultural contact in the early modern world. 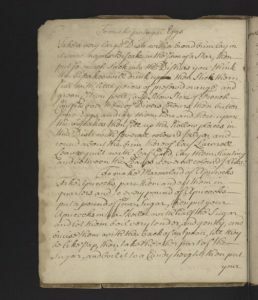 For more information about Winche’s manuscript, take a look at this post written for the Early Modern Recipes Online Collective Transcribathon. Elaine Leong, “The Winche Project.” Here is a link to images of the manuscript. Marissa also has also written about preparing this hot chocolate recipe. Alyssa Connell and Marissa Nicosia, “Chacolet,” The Collation. 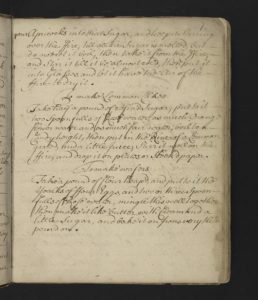 Amy L. Tigner wrote a wonderful series for this site about chocolate recipes in early modern manuscripts: Tinger, “Chocolate in Seventeenth-Century England, Part I”; Tinger, “Chocolate in Seventeenth-Century England, Part II”. This digital project, called “A History of Mary Rowlandson in Seven Objects,” built on the insights about material history begun in this cooking project, and can be found here. 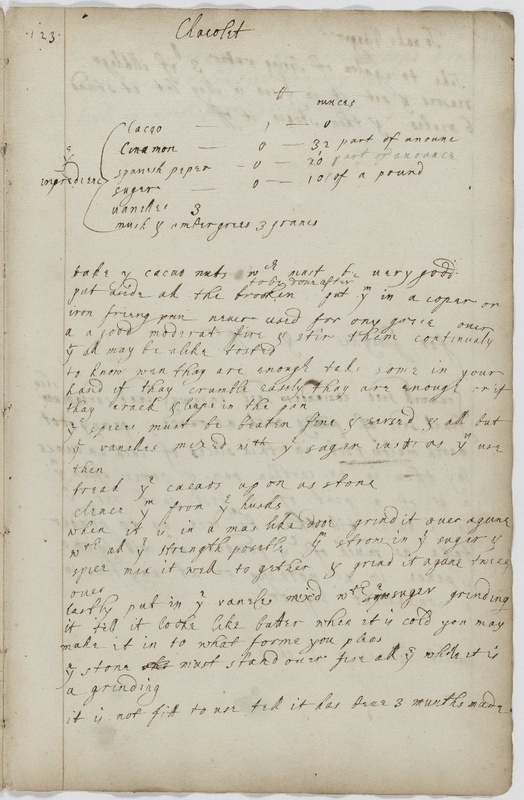 Cookery and Medicinal Recipes (c. 1675-c.1750) V.a.429, Folger Shakespeare Library. Image courtesy of the Folger Shakespeare Library’s LUNA: Digital Image Collection. The Folger Shakespeare Library is many things: an internationally-renowned research library, a museum, a performance space, a center for innovative digital initiatives. But it’s also a classroom, or even many different kinds of classrooms: education is central to the Folger mission, and every year the Folger offers hundreds of programs designed for all kinds of classrooms, from bright, lively elementary-school homerooms to spare, echoing college lecture halls, and from traditional school-houses filled with desks and chalkboards, to pioneering online learning communities populated by students from around the world. 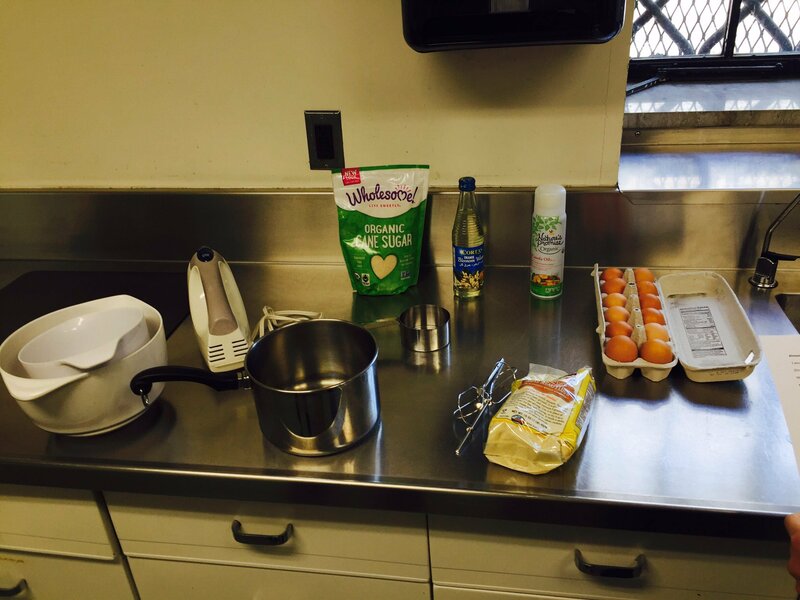 This past summer, the Folger created a special kind of classroom: a test-kitchen. 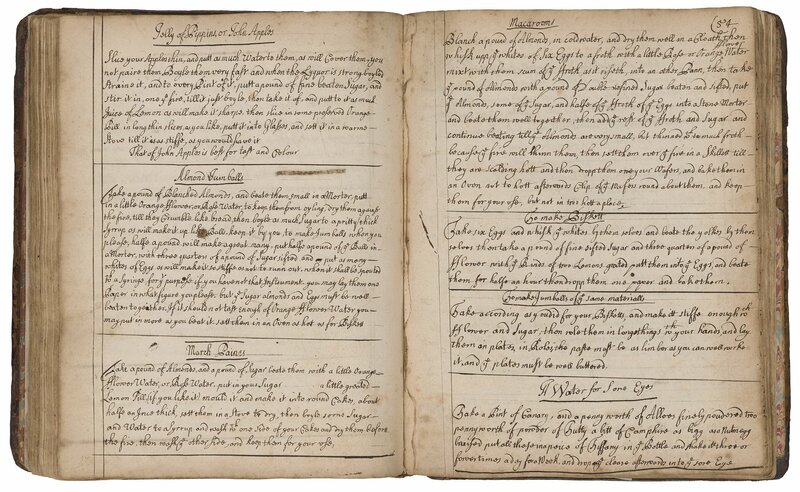 The Folger’s test-kitchen was used during a week-long skills course in paleography (the study of handwriting) for scholars who study the early modern period (c. 1450-1750). Under the direction of Folger Curator of Manuscripts Heather Wolfe, the students in this workshop learned how to read and transcribe early modern handwritten documents. They did this through their own “hands-on” work: scrutinizing letters, notebooks, and diaries written by women and men hundreds of years ago, experimenting with historical writing materials (bird-feather quills, iron gall ink, and rag paper), and – best of all, from my perspective – bringing an old recipe to life. 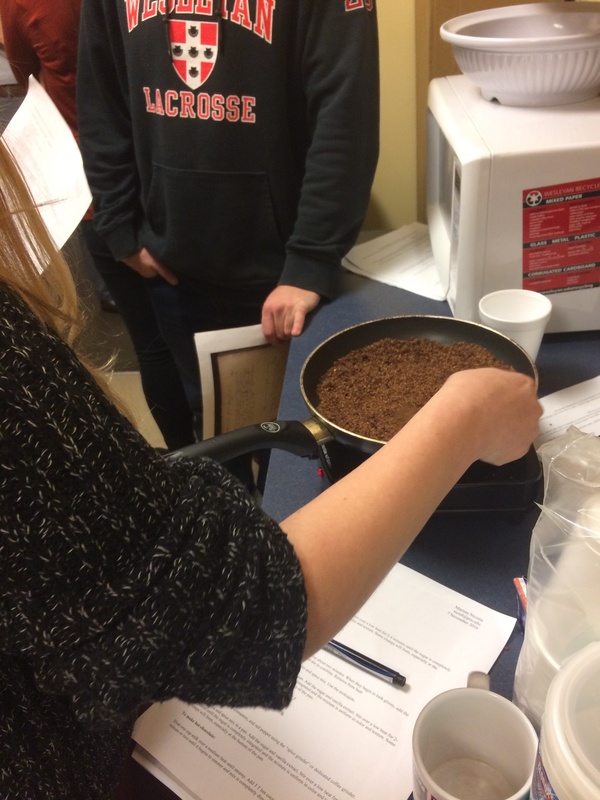 Our paleography students used a recipe taken from an early modern book (Folger V.a.429) to make an early modern dish: Almond Jumballs, a sweet, cookie-like confection that was a popular treat in the seventeenth and eighteenth centuries. Ingredients for our modern Jumballs. Image courtesy of the author. 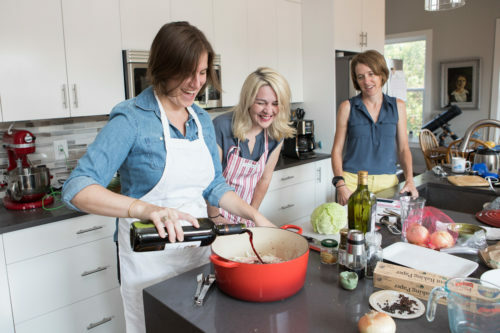 Kitchens are my favorite kinds of classrooms, and recipes are my favorite teaching tools. 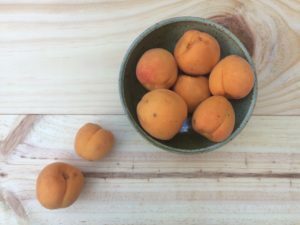 I’ve written about using recipes in my own higher-education classrooms. Friends and colleagues have also used them to great effect in elementary/primary schools, high schools, and in museum and library programming intended for members of the general public. 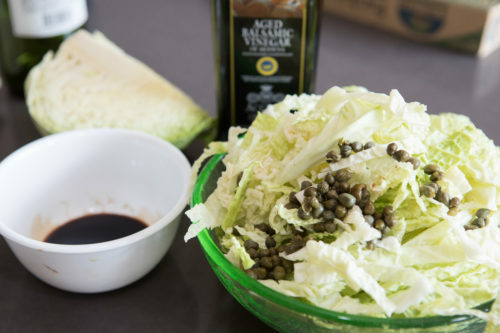 Recipes seem simple, and they seem approachable and even familiar, and for this reason they draw in people of all ages, backgrounds, creeds, and kinds. But once you start to examine a recipe more closely, it reveals incredibly rich, complex details about the moment and place in which it was written: recipes tell us about socioeconomics, migration and immigration patterns, and religious prohibitions and practices. They teach us about environmental policies, agriculture and sustainability, foodways, and cultivation practices. They offer evidence of mercantilism and trade, of culture and aesthetics and taste. They tell stories of war, dearth, and conflict as well as those of peace and plenty. 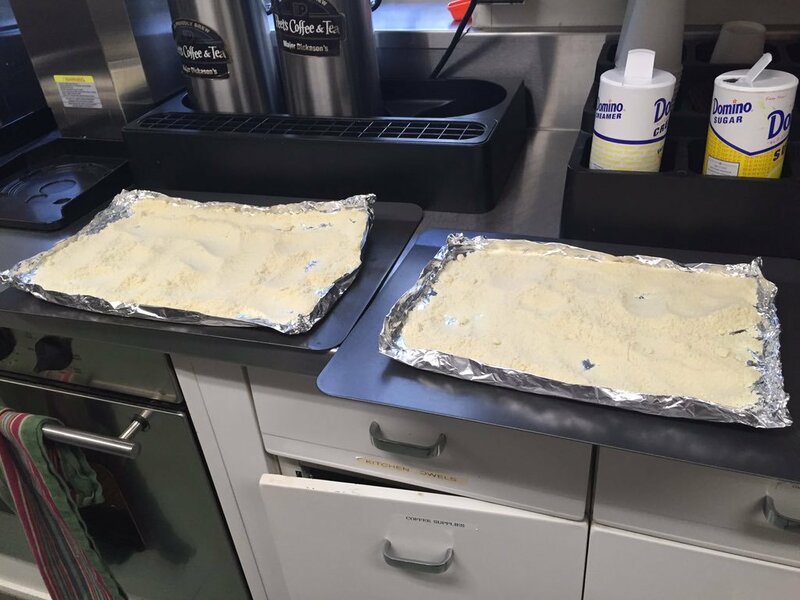 Toasting almond flour in the Folger Test-Kitchen. Image courtesy of the author. Under the guidance of Marissa Nicosia (Assistant Professor of Renaissance Literature at Penn State Abingdon, a Folger fellowship recipient, and the co-creator of Cooking the Archive, a blog devoted to re-creating historical foods) our paleography students read, studied, and transcribed the Almond Jumball (pronounced like “jumble” with a hard J) recipe. 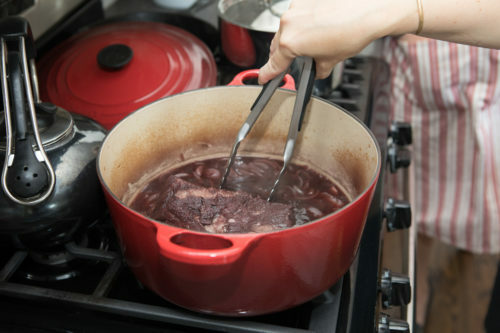 There’s an excellent post on Cooking the Archive which provides a step-by-step description of the experiment, and I highly recommend it, especially if you’re interested in re-creating the recipe yourself. I’d also recommend two Folger food resources: a Shakespeare Unlimited podcast featuring Wendy Wall, where she talks about her new book, Recipes for Thought, and our Shakespeare & Beyond blog post on early modern food culture and food in Shakespeare’s plays. But there were also some larger scholarly lessons that we took away from our afternoon in the Folger test-kitchen. The ingredients in the Jumball recipe included almonds, orange-flower water, and about a pound of sugar, and it called for the use of a kitchen “syringe,” a specialized instrument used by chefs for piping and shaping foods; all of these things were high-end, valuable commodities in the early modern period, and suggest that the Jumballs would have been commissioned and consumed by higher-status people, even if the labor involved in making them might have fallen to lower-status ones. The recipe’s instructions called for the combination of “shelf-stable” ingredients in stages, which would have kept the food from spoiling and allowed the maker to start and stop cooking at intervals, a gendered, pre-industrial labor pattern common to early modern households. 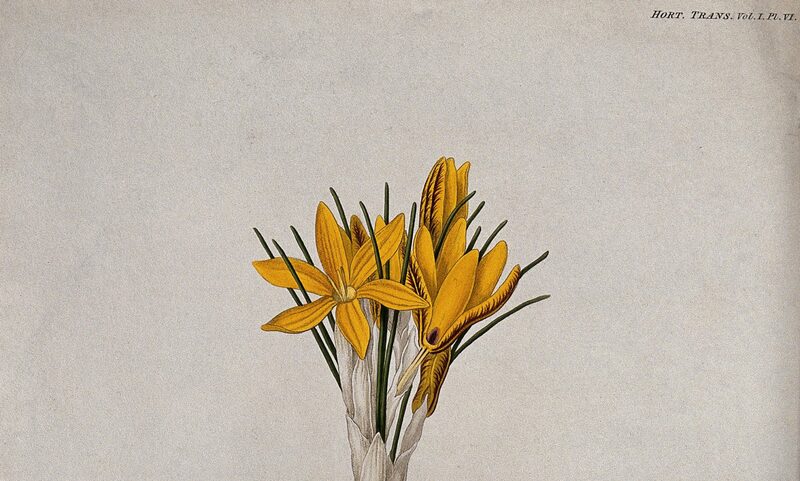 And the recipe, like the book in which it was contained, was possibly collaborative, as the collection was compiled by several women from the same family: Rose Kendall, Ann Kendall Carter, Elizabeth Clarke, and Anna Maria Wentworth. Despite their familial ties, the authors did not, however share chronological or geographic ones: the book was compiled gradually, over the course of about forty years (c. 1682-1726), and members of the family lived in locations across England, including Yorkshire, Lancashire, Bedfordshire, and London. 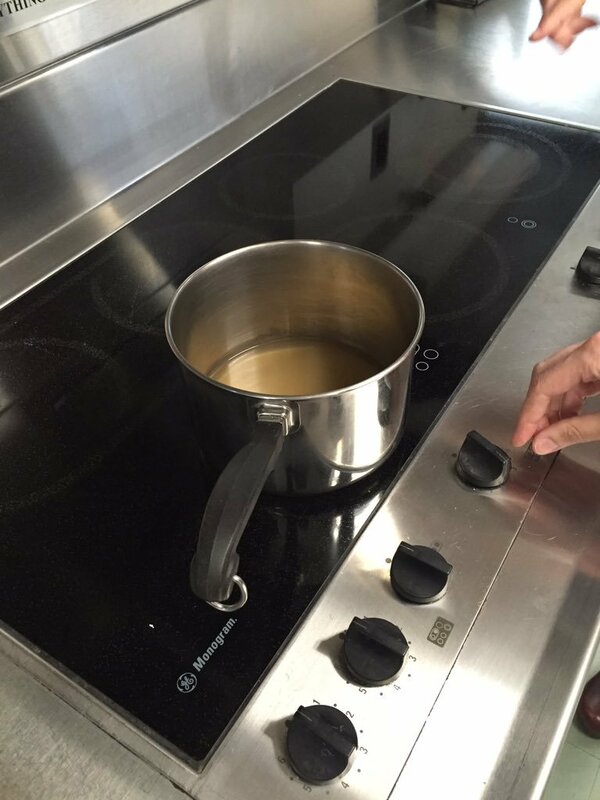 Heating sugar syrup in the Folger Test-Kitchen. Image courtesy of the author. The time that it took to make the Jumballs in the Folger test-kitchen was brief, lasting only a few hours, but the exercise has continued to make me think. The Almond Jumball recipe seems to offer just the smallest scrap of evidence about the early modern world. But through careful study and experimentation, our community of scholars uncovered important, large-scale concepts: questions of authorship and identity, experiences of material culture, evidence of labor patterns, constructions of gender and social status, and examples of the cultivation, dissemination, and sharing of early modern knowledge. Although the charm and ostensible simplicity of historical recipes draw many people in to study the past, it’s the big-picture ideas engendered in their study which help to demonstrate the value and impact of our scholarly work. This is the kind of payoff that we can expect from recipes, and it’s why they’re wonderful pedagogical tools, suited to all types of classrooms.